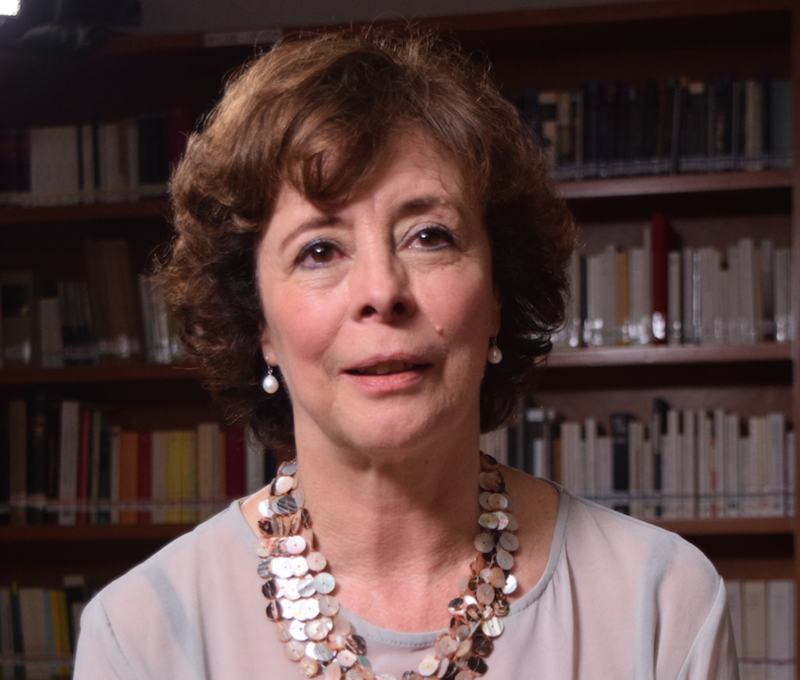 Paz Alicia Garcíadiego (born 1949) is a Mexican screenwriter and scholar. She and her husband, director Arturo Ripstein, have collaborated on film and television projects for more than four decades. Born in Mexico City, Garcíadiego began her career adapting Mexican literary classics into comic books for the Secretaría de Educación Pública (SEP). She moved into developing educational television programs for the Instituto Mexicano de la Radio (IMER) and Unidad de Televisón Educativa y Cultural (UTEC) from 1977 to 1983. Garcíadiego’s first collaboration with Ripstein, El imperio de la fortuna (The Realm of Fortune, 1986), won eight Ariel Awards. Garcíadiego’s other writing credits include Principio y fin (The Beginning and the End, 1993), El evangelio de las maravillas (The Gospel of the Marvels, 1998) and La perdición de los hombres (The Ruination of Men, 2000). Garcíadiego is the 2013 recipient of the Salvador Toscano prize, awarded by the Cineteca Nacional, the Fundación Carmen Toscano and the Academia Mexicana de Artes y Ciencias Cinematográficas. Screenwriter Paz Alicia Garcíadiego is interviewed by Lourdes Portillo at the Centro de Creación Literaria Xavier Villaurrutia in Mexico City on September 23, 2015. This is a co-production with the Getty Foundation’s Pacific Standard Time: LA/LA initiative and is part of the project From Latin America to Hollywood: Latino Film Culture in Los Angeles 1967-2017. In describing her family, Garcíadiego remarks that though they were not highly educated, they always supported her artistic aspirations. She describes her grandmother as a masterful raconteur who fostered her early interest in storytelling. She reminiscences about graduating from Catholic school in 1968 and studying at the Universidad Nacional Autónoma de México (UNAM), as well as her subsequent teaching position with the Universidad Iberoamericana. She jokes that her aptitude for telling stories caught the attention of coworkers who suggested she write soap opera scripts. Garcíadiego recounts her move to Secretaría de Educación Pública (SEP), where she adapted literary classics and episodes of Mexican history into comic books. 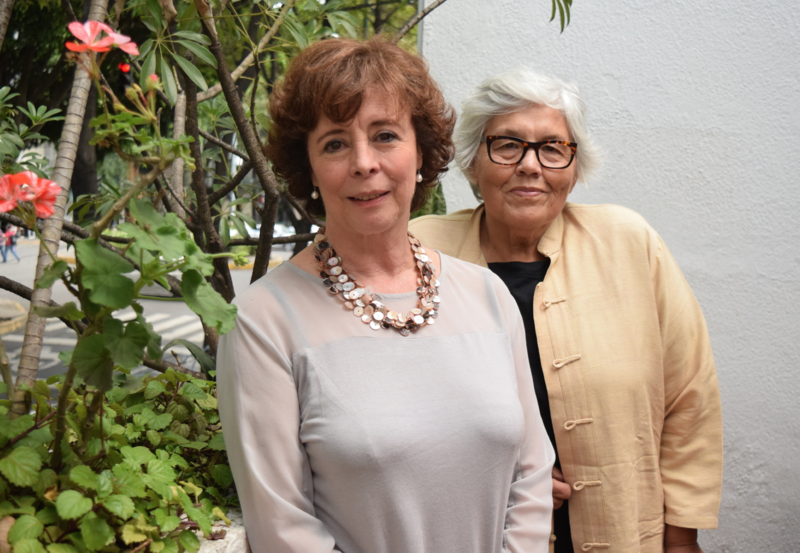 She recalls writing for children and educational programs at Unidad de Televisón Educativa y Cultural (UTEC), where she met director Arturo Ripstein. She muses on the early beginnings of their professional and personal relationship. 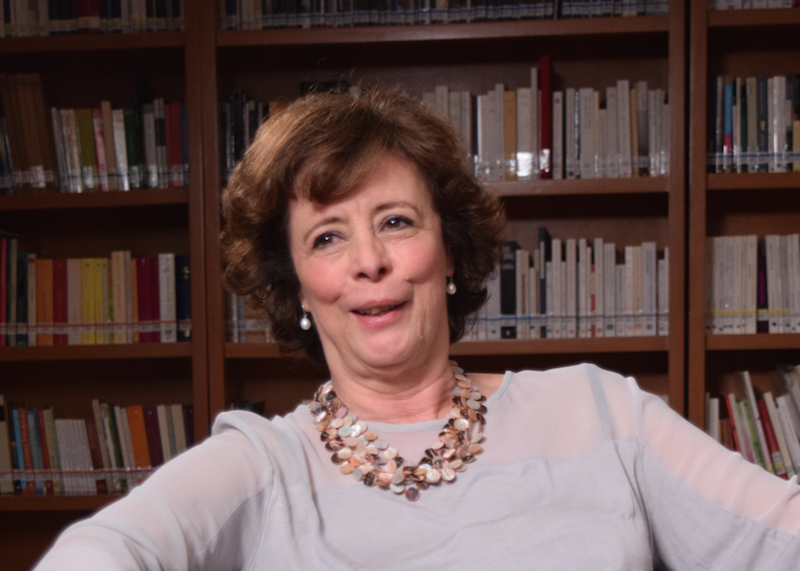 Garcíadiego details her role as screenwriter on their first collaboration, El imperio de la fortuna (The Realm of Fortune, 1986). She confesses to being intimidated initially by Juan Rulfo’s novella and the challenges in writing the screenplay adaptation. While discussing working with Ripstein on Mentiras piadosas (Love Lies,1988) and Principio y fin (The Beginning and the End, 1993), Garcíadiego sheds light on the couple’s collaborative process and the division of roles that fit their work styles. Garcíadiego discusses how the script for the crime drama La perdición de los hombres (The Ruination of Men, 2000) was written in a brisk five days to meet a tight production schedule. She describes infusing the melodramatic script with elements of humor, commenting on how the literary devices are compatible. Garcíadiego muses on the difficulties she would have in writing a Hollywood project, stating that she is unapologetically anti-establishment and politically incorrect. She goes on to decry the stereotypical depictions of Latina women in mainstream cinema. Garcíadiego closes with reflections on her partnership with Ripstein and thoughts on the importance of the screenwriter in the filmmaking process.